1. Our syringe is unique practical and easier to use than most other syringe. the accuracy and precision of our insulin syringe are unsurpassed. 2. 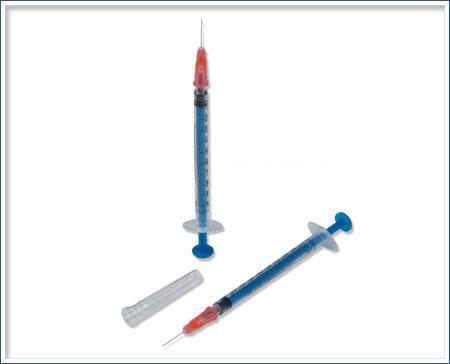 Available size are 29G 1ml/cc 0.5ml/cc standard needles 1/2" and 30G 1cc, 1/2cc standard needles 1/2"
Material: Barrel-Made of medical, transparent polypropylene with Plunger stopped ring. Plunger: Made of medical polypropylene. Standard piston: Made of natural rubber with two retaining rings. Or Latex Free Piston: Made of Synthetic non cytotoxic rubber, free from The protein of the natural latex to avoid possible allergy. According to the ISO9626. Needle Hub: Made of medical grade PVC colored according toISO6009. Needle protector: Made of medical grade transparent PVC or PE.